I’m a huge deal person; there’s something about knowing I got the best price for something that is so satisfactory. I’m a Groupon loving junkie, coupon printing kind of person. The first thing I do when I find out that I’m visiting a place is to sign up for the local restaurant and activity newsletters. My boyfriend laughs at me, my parents think I’m insane. But I love it. The bottom line is that there’s a skill to finding the best deals. The key to finding the best deals anywhere is know where to look! Here are some tips on how to find the best deals in Cabo! The most expensive thing in Cabo is usually your hotel stay and it’s natural that you want to know how to save some money on that! Most hotels and resorts in Cabo have specials and vacation packages listed on their websites. Search their website for key words like Specials, Deals or Vacation Packages. Some of these are exclusive to the hotel and you can only get them if you book directly with the hotel. Daily deal websites like Groupon or Living Social often post getaways. I’ve seen Cabo stays pop up a lot on Living Social’s Escapes. They update their Escapes about once a week, so you may have to be patient to find the best one. Escapes usually come with extras like bottles of champagne, dinner or spa credits. There’s nothing like knowing the price for your flight and hotel upfront and buying it in a package deal. 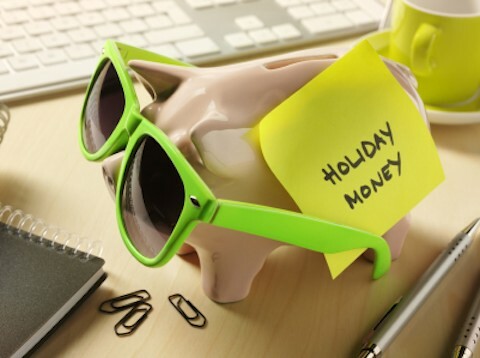 Using Travelocity, Orbitz and some of the other big players will often save you money if you book your hotel and airfare together. Many of these sites (and airlines) offer last minute packages as well. So if your dates are flexible or if you just decided to go, you might be able to save money with a last minute package to Cabo. Some of the hotels in Cabo are members of larger chains like the RIU, Hilton, Sheraton, etc. If you are a member of their club or rewards program, you can sometime get exclusive deals. Or at the very least get an added benefit like late check out, free wifi or special gift. If you already have points with a specific hotel chain, you may be able to use them towards your stay in Cabo. There’s nothing like a free Cabo hotel stay! Sites like Priceline let you bid for your hotel stay. They block the resort name and you bid blindly. They do not have many Cabo Auctions, but if you feel like giving it a try, you can definitely save money. These are a little less reliable, but if you are a pro at penny auctions you can check out vacation auction sites like Off and Away. 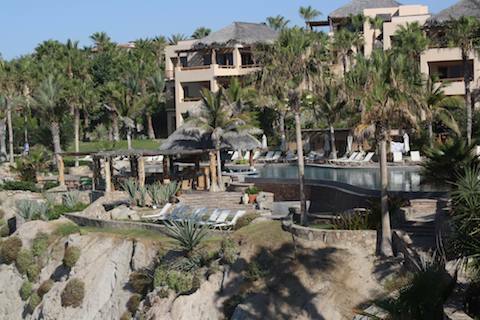 They have luxury Cabo vacations that go for very little. 5 Nights in Cabo for $189? It’s possible, but not for amateurs. Many websites and companies have Cabo getaways they are raffling off. Make sure you are entering a reputable contest. You can find them via Facebook, or through sweepstakes websites. There’s nothing like a free appetizer or 15% off your check. When you arrive at the Los Cabos International Airport, there will be people handing you travel guides, brochures and more. Most of these contain maps, information and articles. The real deal is in the coupons. Many local businesses advertise in these books and you’ll find plenty of coupons. They are especially good for finding a free margarita or appetizer. Yum! Sometimes restaurants have coupons posted on their websites. You can print them off ahead of time and bring them with you to Cabo. 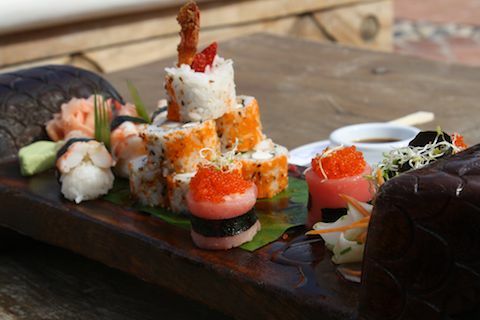 Check out some of the restaurants you might want to visit when you are in Cabo online and plug in your email address. (It’s a good idea to have an extra email account or filter for newsletters). Some restaurants offer you a deal just for signing up and others send out weekly newsletters with discounts. You have to be careful not to do this too far in advance as some of the “sign up coupons” have expiration dates. In this day and age, most restaurants have Facebook and Twitter. They will often let you know of any special happy hours, events or discounts. Many restaurants and bars in Cabo have a happy hour (2 x 1 drinks, etc) and a Ladies Night (Ladies drink for free!!). Usually these dates are posted on the website or twitter., or you can look around when you walk around in the day as they are usually posted outside of the restaurants as well. 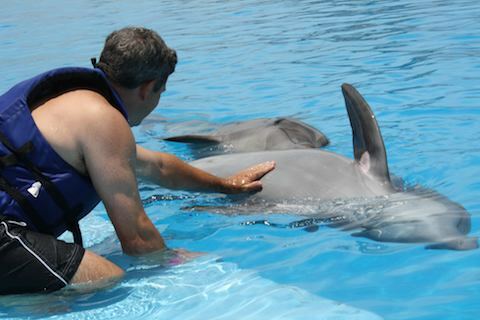 From dolphin swims to horseback riding on the beach, Cabo is full of plenty activities. So how do you get the best deal? If you are looking for a snorkeling tour, don’t book the first one you see. Check several different websites to see what each one includes. You might see that one is cheaper than the other – but then realize that the more expensive one includes lunch, open bar and more. Most tour companies in Cabo offer deals and extra value if you book online instead of through your concierge or third party. This is for two reasons – a) they are guaranteeing that you’ll be there and b) they don’t have to pay a commission to a third party. Often times you can save 15% or get something buy one get on free. Just like for restaurants, many Cabo Activity companies post deals, coupons and more in the books you get at the airport. Activity companies have been a bit slower than the restaurants and hotels to join the Social Media frenzy, but they are definitely making progress. You can find some of the more established companies on these networks and they do often times have deals. Do you have a great place you’ve found Cabo deals? Do share!